If you are having a problem with a wild animal, please select your Arizona city/town from the map or list above. 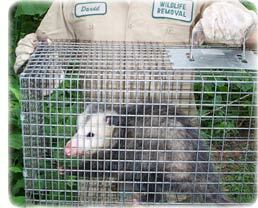 This Arizona animal control directory lists the phone numbers of professional wildlife removal experts throughout AZ. These nuisance wildlife control operators deal with conflicts between people and wildlife such as squirrels living in an attic, or raccoons digging through the trash can. Call the licensed and insured professional listed here, and get the problem taken care of once and for all. There are many Arizona pest control companies, but most of them treat for insect problems, and have little experience dealing with wild animals. Our specially trained technicians have the specific knowledge and equipment necessary for Arizona wildlife management. We are not extermination companies, we are professional Arizona trappers of wildlife. We are humane, and do a complete job - everything from animal damage repairs to biohazard waste cleanup. 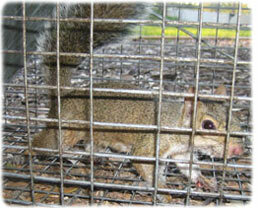 Our AZ animal control experts can handle many wildlife issues. Examples include Arizona bat control and removal. It takes an experienced pro to safely and legally remove a colony of bats. The same goes for bird control, such as roosting pigeons. We know all the species of Arizona snakes, and can safely remove them. We most commonly deal with animals in the home, such as rats or mice in the attic, or raccoons in the chimney. Select your area on the map above, and find a professional in your home town. Arizona info: Arizona is a desert state, filled with magical desert animals such as the western diamondback rattlesnake, the desert fox, the wiley coyote, and the elusive roadrunner. Don't forget the gila monster. Of course we have all of the usual nuisance species too, such as roof rats (rattus rattus). Arizona became a state in 1912. The state animal is the Ringtail Cat, and the bird is the Cactus Wren. There sure are a lot of cacti in Arizona. The state butterfly is the Two-Tailed Swallowtail and the fish is the Apache Trout. Flower Saguaro Blossom, furbearer Ringtail Cat, insect Two-Tailed Swallowtail, reptile Arizona Ridgenose Rattlesnake, tree Palo Verde, and rock Petrified wood. The largest city is Phoenix. If you need assistance with a domestic animal, such as a dog or a cat, you need to call your local Arizona county animal services or SPCA for assistance. They can help you out with issues such as stray dogs, stray cats, dangerous animal complaints, pet adoption, bite reports, deceased pets, lost pets, and other issues. We have those numbers listed here for your convenience. If your city is not on our map, consult your local blue pages. Arizona is a place of dry heat. The summers are hot and the winters are mild. Forests consist of water-conserving pines trees and spruces. Though much of the state is arid, there are many deep canyons as well as the San Francisco Mountains where snowfall and more moderate weather are common. Only 15 percent of this state is privately owned. The other 85 percent is made up of national forest and Native American reservation land. The southern zone of Arizona is desert land filled with rock formations and plants like cacti. The Colorado plateau, up in the northern region, is more heavily forested. The state boasts such landmarks as the Grand Canyon and Meteor Crater. Arizona has a unique mix of wildlife due to the forests and the desert regions in the state. The Grand Canyon has an abundance of wildlife since it is a source of constant water. Along the canyon, wolves, condors, bald eagles and mountain lions all hang out near the life-providing water. The Grand Canyon also is home to a number of endangered species including the desert tortoise, California brown pelican, bighorn sheep, Southwest river otter, and the spotted bat. Predators in Arizona include the big four: mountain lions, black bear, wolves, and coyotes. These large carnivores are followed up by bobcats, called �wildcats� by natives. Another creature common in Arizona is the ringtail cat. Contrary to popular belief, the ringtail cat isn�t a cat at all�it is closer to the raccoon in description. Ringtails are exceptional climbers and live along cliffs in the arid or semi-arid zones within the state. They eat a variety of insects, scorpions, and smaller mammals. Animals living in the hot Arizona desert need to be able to withstand temperatures up to 120 degrees Fahrenheit. These desert animals include scorpions, great horned owls, golden eagles, Gila monsters, and rattlesnakes. Arizona also has large grazing animals like mule deer, bighorn sheep, elk, and white-tailed deer. TUCSON, Ariz. -- State and university researchers plan a detailed study on urban neighborhoods that have become hot spots for coyotes. Coyotes, which have been setting up dens in the bushes of two neighborhoods here, will be captured and radio-collared by the Arizona Game and Fish Department and University of Arizona researchers. They hope to trap 10 coyotes early next month to determine where the animals go and how they behave. A resident in one of the affected neighborhoods said coyotes have started following her. Recently, six coyotes ran after Holly Gardner and her dog. "They followed me to the arroyo. They all stood and looked at me, I yelled at them, turned away, pulled the dog away and we started walking home," Gardner said. "They started walking after me and I kept looking over my shoulder. They started to jog after me and I ran into my driveway." She bought an air horn to ward them off in future encounters. After studying the first group of coyotes in the neighborhoods, researchers hope to trap another group and then move them away from urban areas to see how they act in a more natural environment. The study is expected to take two years. Arizona has an abundance of wildlife, and The state of Arizona is no exception. Elisa Osterg, Game and Fish's urban wildlife biologist in The state of Arizona, said researchers hope the information they get will help diminish future conflicts between coyotes and people. The study also will help determine whether aggressive coyotes can successfully be moved to the wild. A University of Arizona researcher doubts it. "If we have a problem animal, my personal belief is that it is better to go ahead and euthanize them," said Paul Klausman, a UA natural resources and wildlife ecology professor who is helping run the study. "That's because if you take an animal and put it into another area, it will be stressed, more vulnerable, not accepted and probably won't live anyway. You will also be stressing other animals." Although several species of wildlife roam The state of Arizona, only a few, such as raccoons and squirrels, are considered pest wildlife.